Sinead Carroll is a solicitor with Ernest J. Cantillon Solicitors. Jason O'Sullivan is the founder of JOS Solicitors. 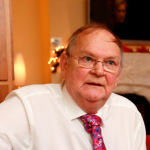 Hugh McElvaney has been a Fine Gael councillor in Monaghan since 1999. He has been central to massive inappropriate rezoning throughout his career as a councillor. The Standards in Public Office (SIPO) Commission has been constantly undermined by Phil Hogan and this government in general. Hogan also scrapped the investigations into planning irregularities in Monaghan, Waterford, Carlow, Dublin, and Donegal. Michael Noonan scrapped the 80 per cent windfall tax on the proceeds of rezoning, creating a huge incentive for planning corruption.